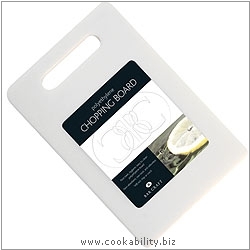 Polyethylene chopping boards, non-toxic, hygienic and easy to clean. Non-absorbent and odourless and gentle on knife blades. Will not chip or crack and stain resistant.